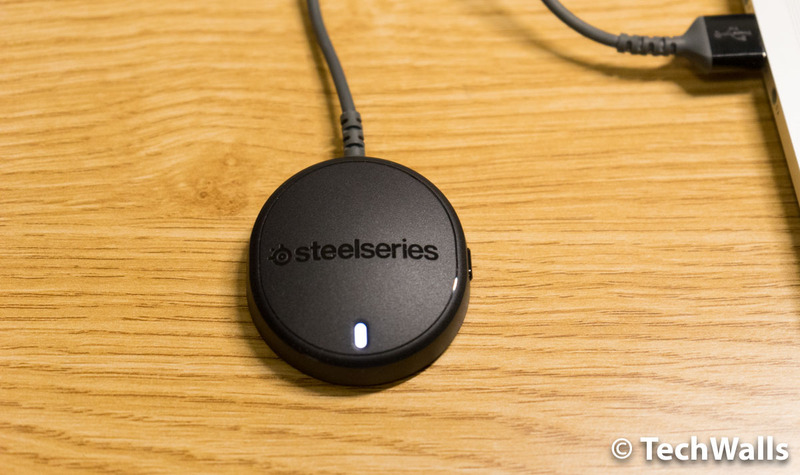 SteelSeries has been on top of gaming peripheral manufacturers for years and we’re seeing more high-end products lately. The SteelSeries Arctis 7 is my first wireless headset from the brand and it has some promising features like DTS Headphone:X Surround. Is this a good investment for your gaming setup? Let’s find out in the review. Like most other headsets, I’m not really impressed with the design of the SteelSeries Arctis 7. It looks a little dull and even less attractive than SteelSeries Siberia headsets that I’ve tested earlier. My unit comes in black and most of the exterior is made of plastic. Having said that, the headset feels very sturdy with a solid build. It is also heavier than I imagined, this is because it is a wireless headset and they have to house the battery and other functionalities inside the earcups. The Arctis 7 features an over-the-ear design but it seems like it is too small for my head and my ears. I don’t feel really comfortable because the earpads are not big enough and they use the AirWeave ear cushions. The material is cool and dry for a long gaming session, but it doesn’t feel soft like earpads with leather covering. That’s something you’ll have to sacrifice here. On the right earcup, you can find the power button and the chatmix dial. On the left earcup, there are a microphone power button, a volume dial, a proprietary audio port, a 3.5mm port, a microUSB port, and a retractable microphone. To use the headset in wireless mode and get the best out of the headset, you will need to plug the included receiver to your computer. This could make your desk messier as the receiver is not really compact and comes with a long cord. The battery life of the headphones is quite good at up to 15 hours, and you can easily recharge it while gaming as well. The microphone also receives a lot of compliments since it can isolate the background noises very well and deliver a clear sound to others. I tested the Arctis 7 in the wireless mode first. I just turned it on and the headphones are connected automatically to the receiver. Unfortunately, I am quite disappointed with the audio quality. The sound lacks details and it is significantly distorted when I listened to music. You might not recognize the problem if you use it to play games only. Besides, the bass is not deep and punchy while the highs are also not open and clear enough. 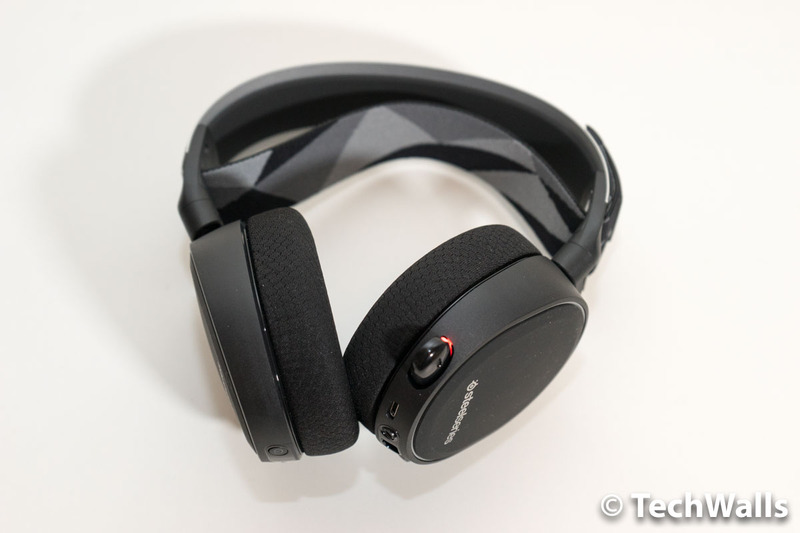 Overall, the headset produces an average sound that is not enjoyable for music listeners. Notably, the sound is improved when I remove the receiver and connect the headphones directly to my computer via the 3.5mm port. Of course, it is still not great but the aforementioned problems are reduced. 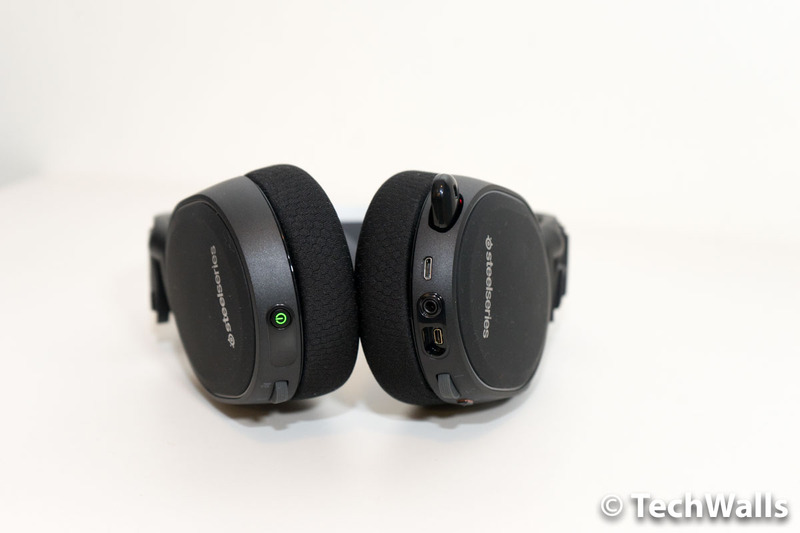 However, the problem is that you won’t be able to experience the DTS Headphone:X 7.1 surround sound when you connect the headset directly to your computer. If you play games on a Windows machine, the feature is quite helpful since it delivers a 3D audio experience, so you can hear the footsteps and get immersed in the game’s environment. The SteelSeries Arctis 7 is among the best wireless gaming headsets out there and it’s really great for gaming. However, this is not an ideal choice if you are looking for a more comprehensive headset that can be used for both games and music. A great wireless gaming headset for gamers, not built for audiophiles.